If you are based in Leicester, ITCS are the perfect IT Support company to service your business needs. From our offices in Bridgend & Rugby, we cover the Leicester area, with the capacity to place engineers in your area on a daily basis. ITCS are an award winning company, that pride themselves on excellent customer service. 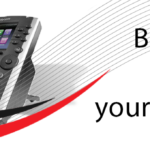 We have a large number of customers in the Leicester area, and would be more than happy to meet with you and discuss how we can help your business to save money from innovative and cost effective IT & Telecoms solutions.